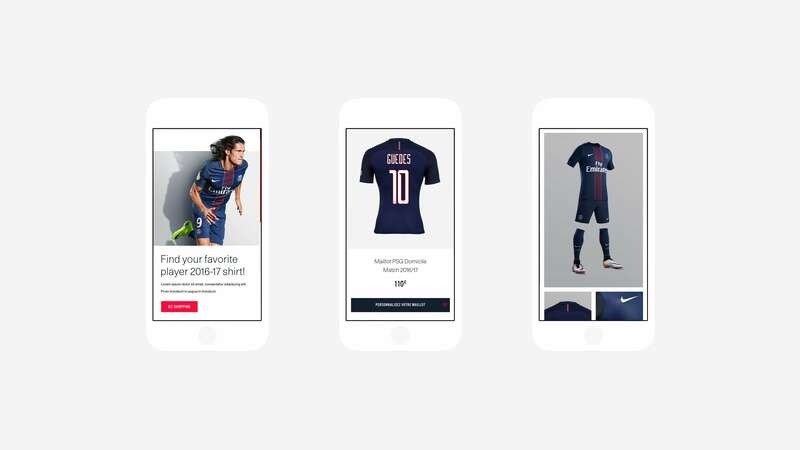 Working in collaboration with Sid Lee Paris, we were tasked by PSG to rethink the whole digital ecosystem of the Parisian club. 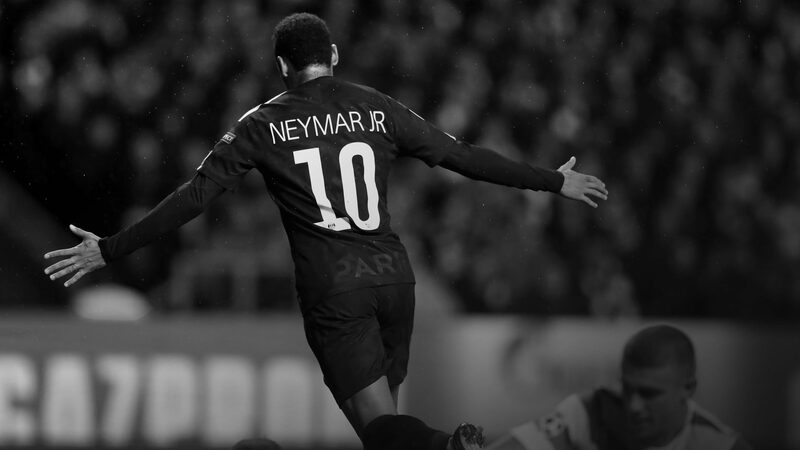 Coinciding with new ambitious and challenging objectives among all the disciplines, the new presence showcases a vast content for all the squads in an engaging and functional manner. 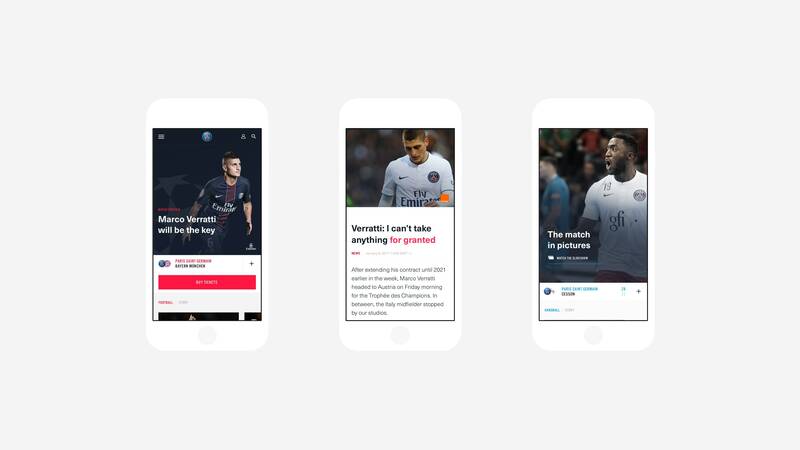 Each team section was developed as a separated media hub, enabling the editorial team to display a wide variety of contents, news, statistics and in-depth articles. 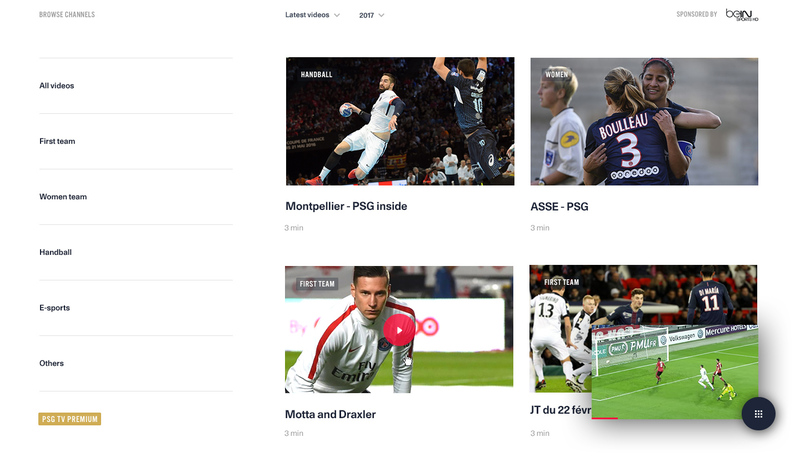 The site also offers shopping and live streaming services integrated seamlessly inside the platform, enabling football fans to view dedicated content and purchase the club products. 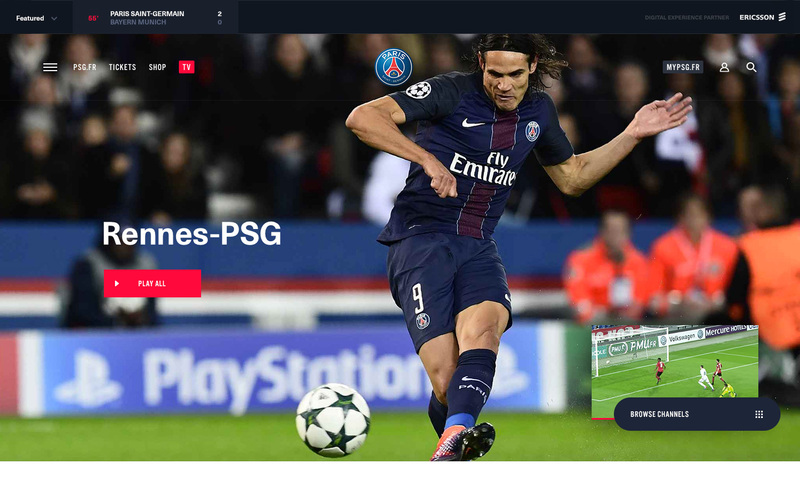 The new site is designed as a media hub concatenating teams and events together. 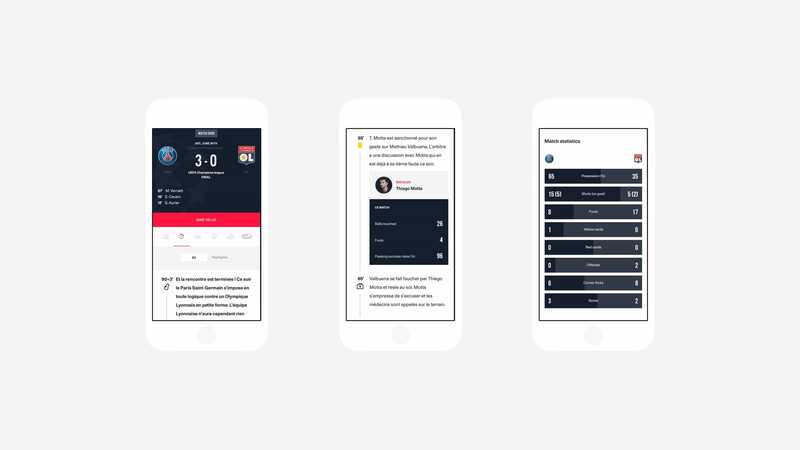 Each event is an eco-system were the fans can follow live articles, games and data. 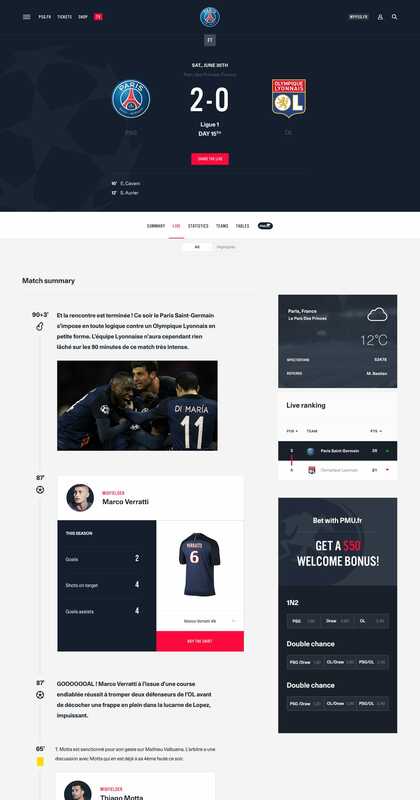 All the data and disciplines are designed as independent elements allowing all contents te be hierarchically connected through the site. 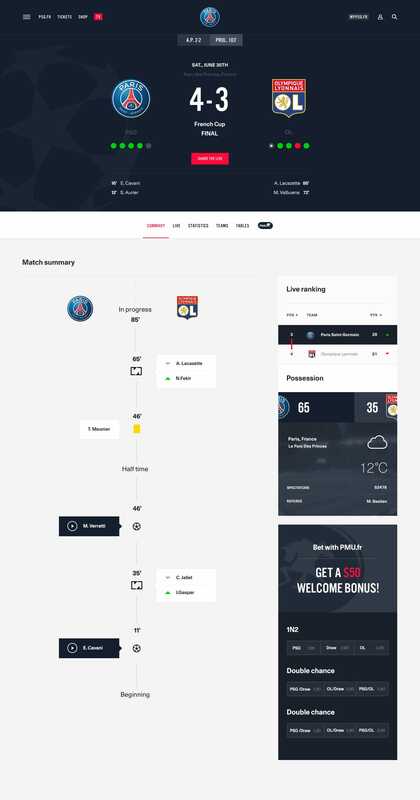 Players for example are entities of content like articles or videos, the metaphor of collectible « cards » allowing a playful and uniform visualization through the site. 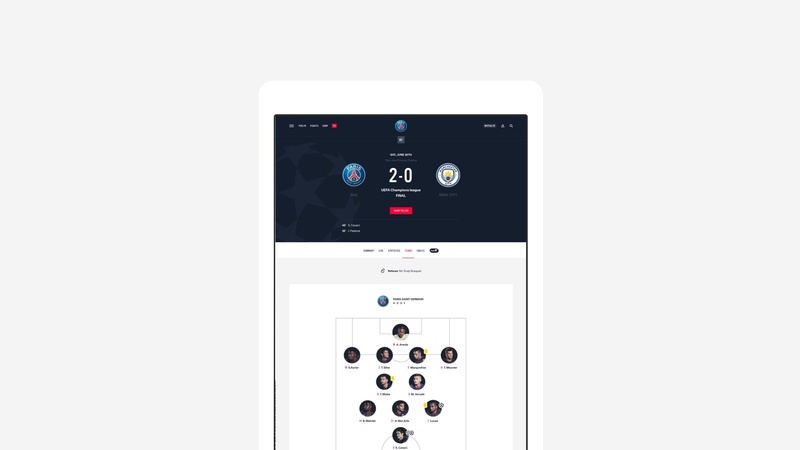 The match display system is adaptively designed for each type of device, allowing for live tracking as well as deeper reading and analysis of the data. 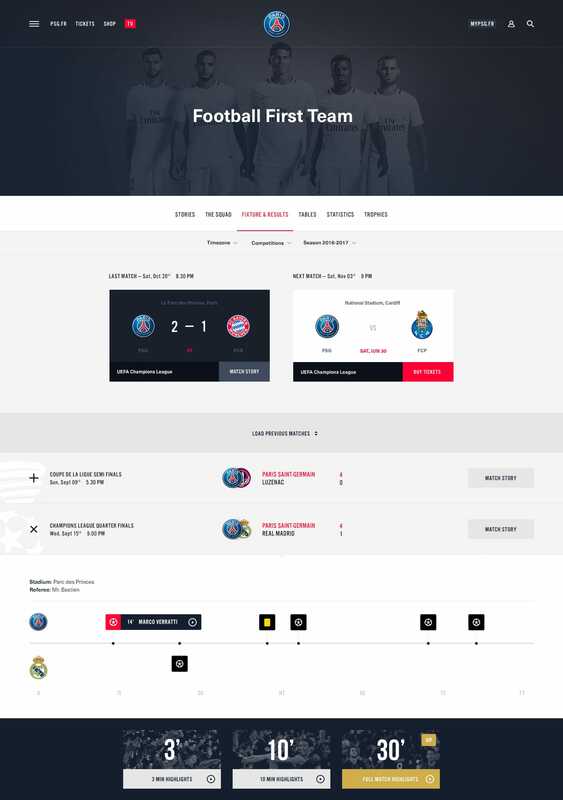 Throughout the season, fans can also browse the previous matches but also to have a precise overview of upcoming deadlines for each team. 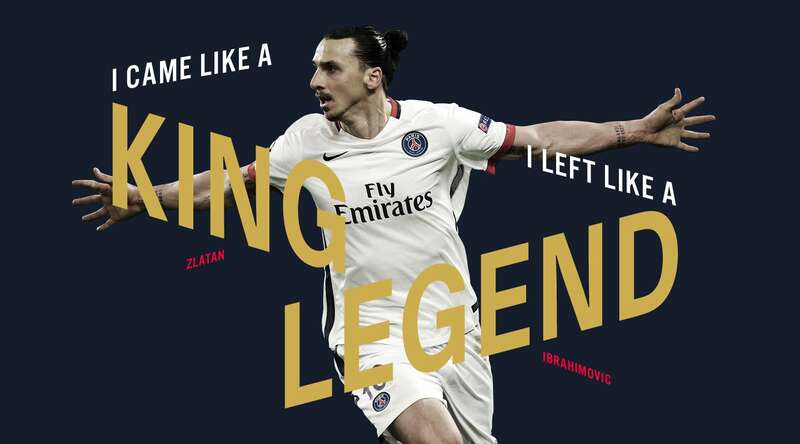 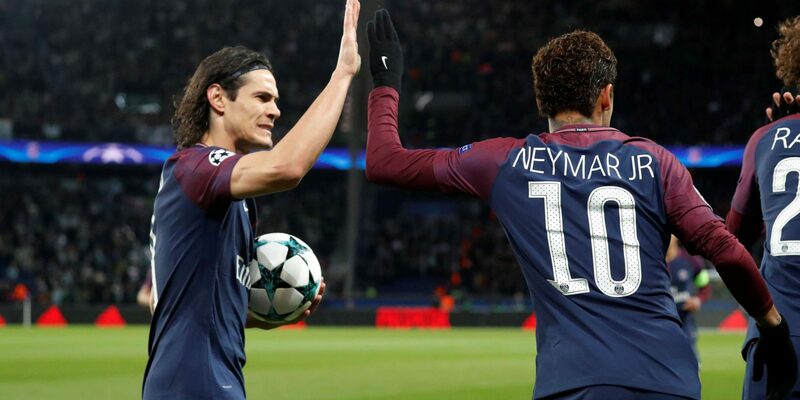 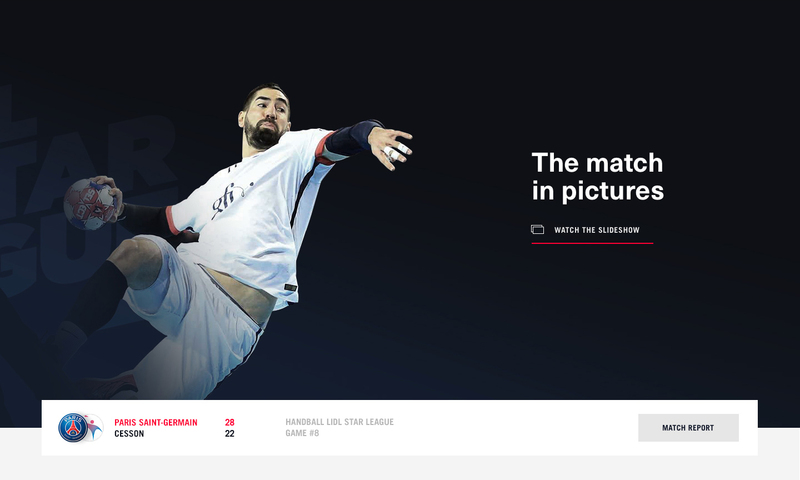 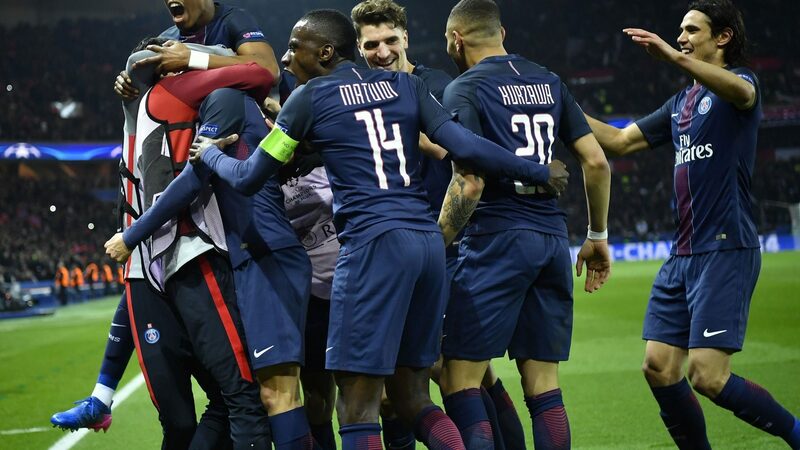 In addition to the matchs and news sections, the site features editorial content retracing the story, the emblematic players’ portraits and the entire culture of the Parisian club. 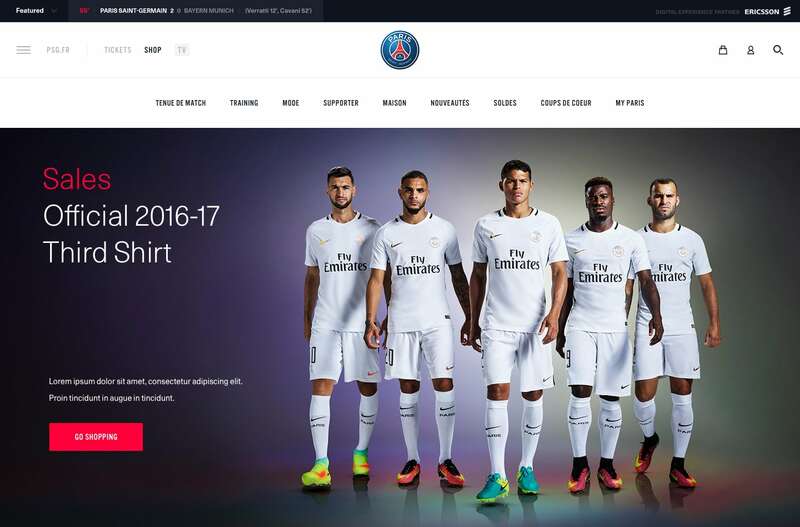 The experience is finally completed by an online shopping section that offers an integrated e-commerce path.